Imagine a bird that basks in the sun, sleeps in the shade, bathes in the dirt and chases its favourite bugs during the day. This bird pecks at whatever he chooses, whichever grass or weed tempts her. Scratches in the dirt or visits a fresh large acre pond for a cool drink of water. Happy birds that live life as they were meant to live. This is how we raise our table birds. Chicken with texture you had forgotten about, or perhaps never yet experienced. 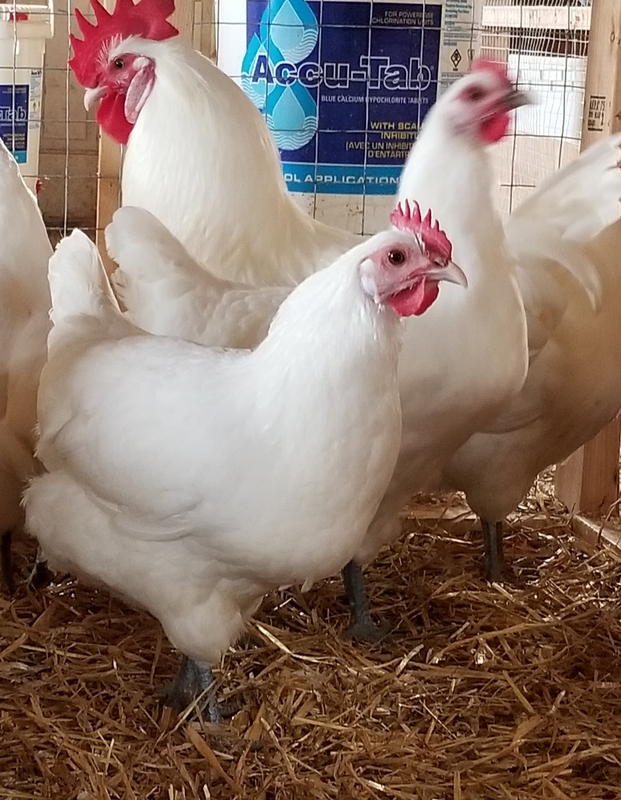 Since the broiler dominance established itself in the last few decades, there has been a sharp decline in the growth of heritage breeds. 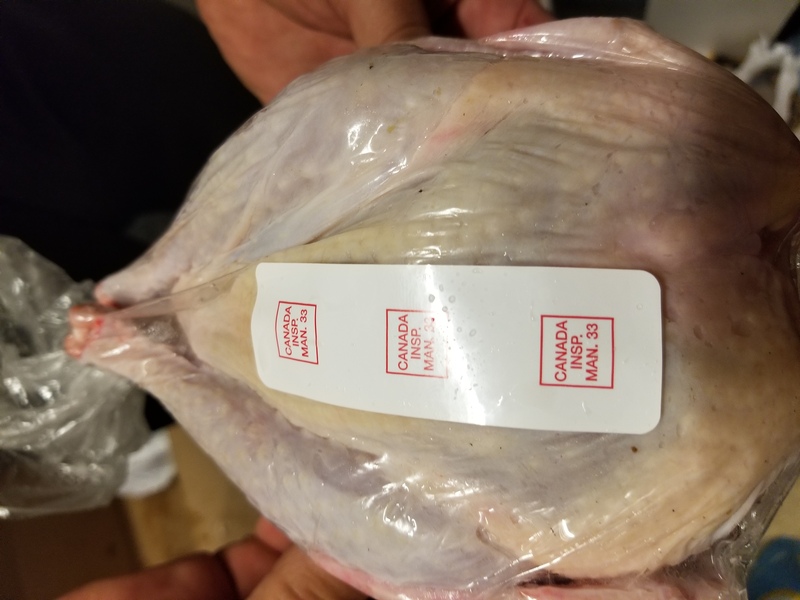 Breezy Bird Farms is proud to present the Canadian White Bresse. 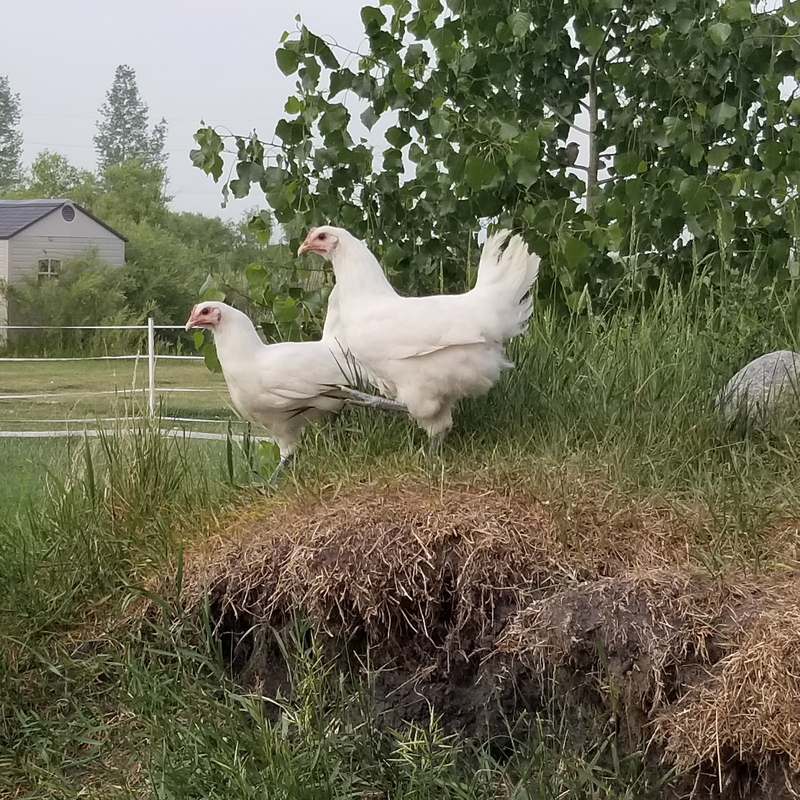 Our Bresse are raised freely. They go into their open aired coops at night for safety from predators. In the morning, they are let out into the nature to be happy and free. 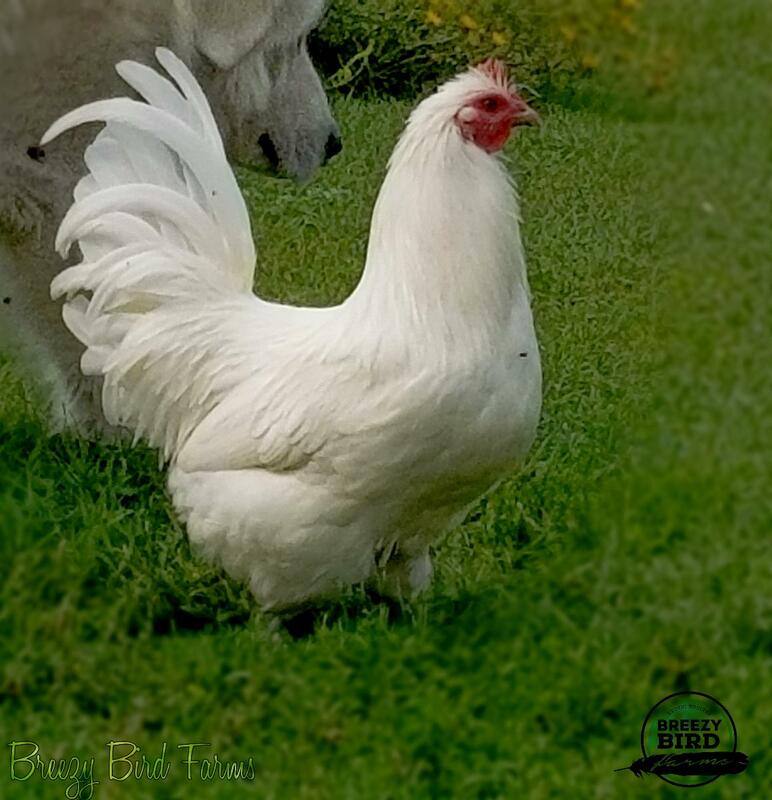 At Breezy Bird farms, we offer a true heritage bird that are slow grown. 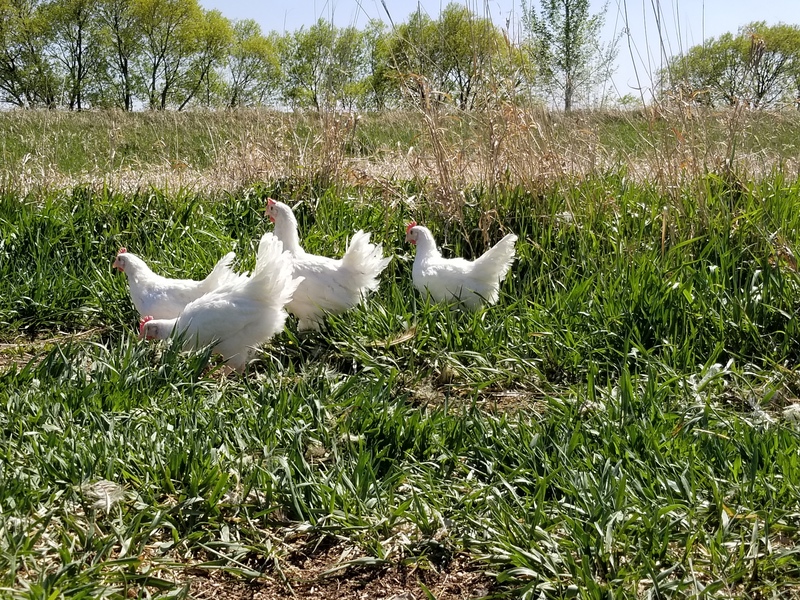 Poultry that are naturally raised on quality select grains, non pasteurized dairy and on open pasture. It really is the best tasing chicken we have ever had! The Bresse is hailed by chefs and poultry experts to be the best tasting bird. 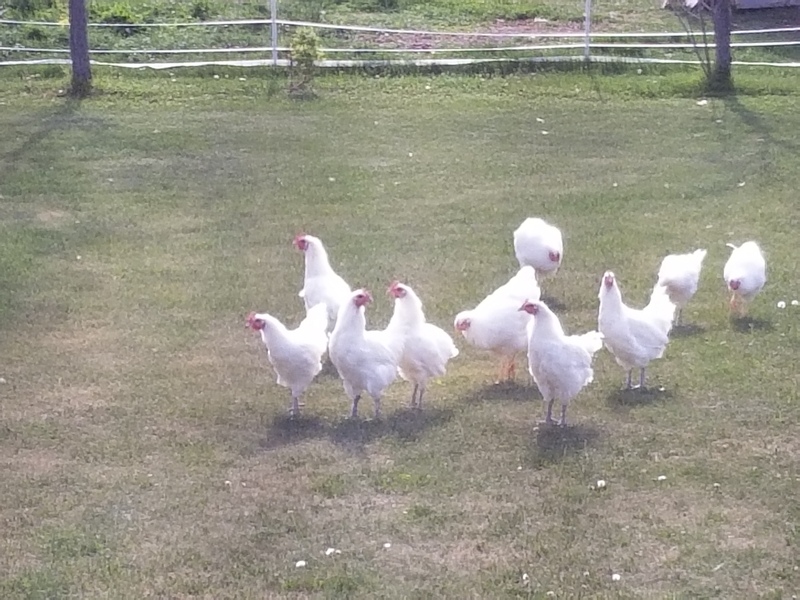 We have profoundly chosen the White Bresse as our choice of breed. Our Bresse is reared in a similar fashion to the french. We feed the best quality grain and dairy products straight from our farm. Our product is nurtured with love, daily from our farm to your table. 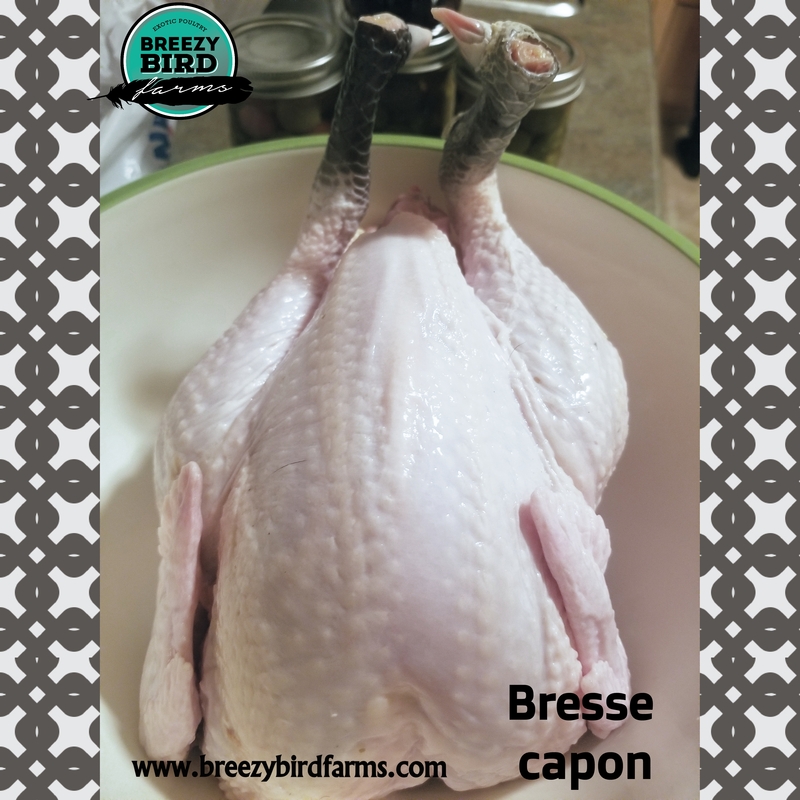 We are offering virgin Bresse pullet and Bresse capons for the table. Orders are limited to comply with government quota.